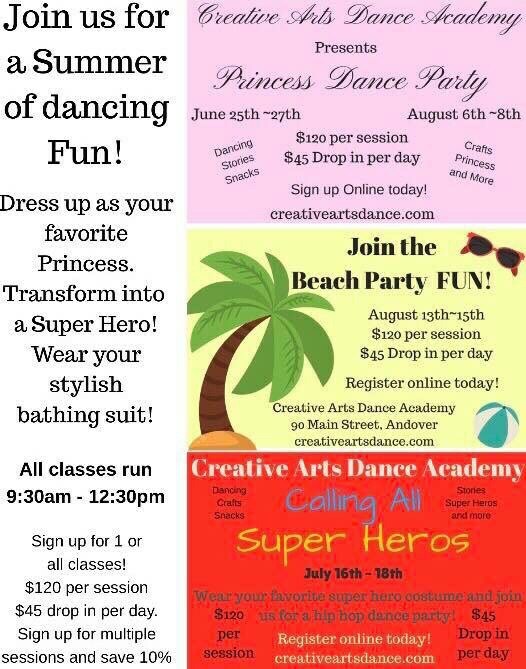 Have you met the girls of Creative Arts Dance Academy??? Well you should! Stephanie & Stacey were just voted Hulafrog of Merrimack Valley MOST LOVED DANCE SCHOOL. They were also recently selected to be a part of Boston Voyager Magazine Inspirational Stories Series. What makes CADA stand out from others, is the fact that they offer something for everyone! Classes for infants (Zumbini) through adults. Classes for the recreational dancer and for the more serious competitive dancer. They love inspiring and sharing the passion for dance with all their students. Registration for CADAs Summer programs are open for registration. Register early to insure your spot. These classes fill always fast! Don’t forget to check out what they have going on over April vacation.